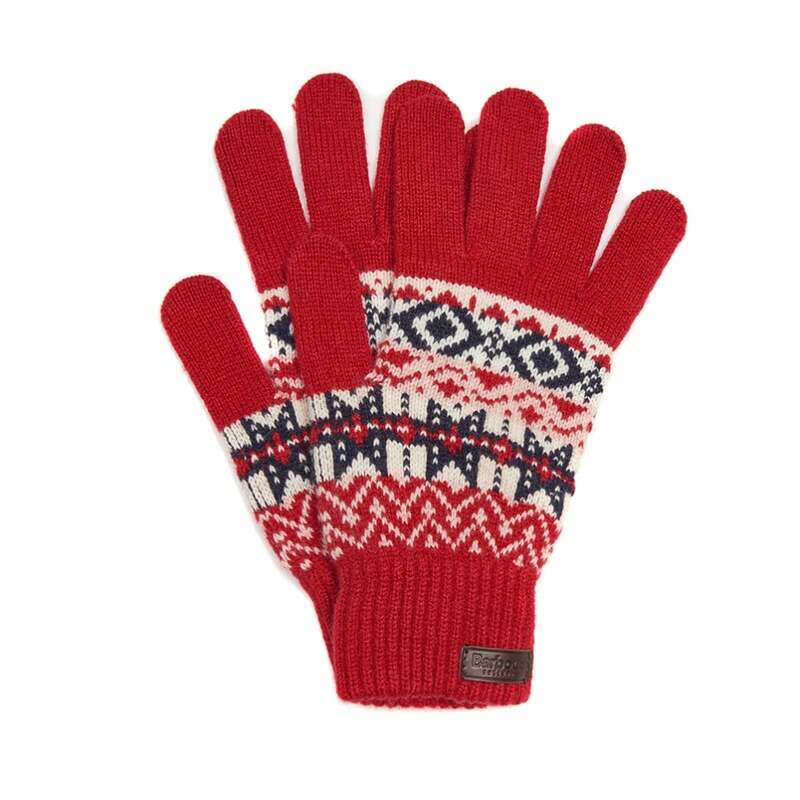 Sure to keep fingers warm this winter the Tarn gloves feature a classic fairisle design. These full finger gloves are given extra detail with an embossed leather badge and beautiful ribbed cuffs to keep them extra snug. These gloves look great paired with a traditional Barbour jacket or jumper.